VEGF is a substance made by cells that stimulates new blood vessel formation. Also called vascular endothelial growth factor. An international team of researchers from academia and the biopharma industry has published a Phase 1a/b study, showing the therapeutic potential of mRNA encoding for vascular endothelial growth factor A (VEGF-A) for regenerative angiogenesis in humans. To provide sufficient oxygen to tissues and organs within the body, blood vessels need to sprout new offshoots to form a widespread blood supply network, much like the trunk, branches, and twigs of a tree. EUSA Pharma welcomes the news that FOTIVDA (tivozanib) is expected to be included in the upcoming European Society of Medical Oncology clinical practice guidelines for advanced renal cell carcinoma, anticipated to be published at the end of this year. Servier and Taiho Oncology, Inc. (U.S.), a subsidiary of Taiho Pharmaceutical Co., Ltd. (Japan), jointly announced today clinical data from the pivotal Phase III TAS-102 Gastric Study (TAGS) evaluating LONSURF® (trifluridine/tipiracil, TAS-102) versus placebo and best supportive care in patients with heavily pre-treated metastatic gastric cancer who have progressed or are intolerant to previous lines of therapy. A high concentration of multi-strain probiotic helps to reduce mild to moderate episodes of chemotherapy-induced diarrhea in cancer patients, according to results of a phase II/III study in India. Exelixis, Inc. today announced results from two analyses evaluating the effect of PD-L1 expression or prior treatment with immune checkpoint inhibitors on the efficacy of cabozantinib in patients with advanced renal cell carcinoma (RCC). The findings are being presented this week at the European Society for Medical Oncology 2018 Congress being held October 19-23 in Munich, Germany. A team of researchers from the UCH CEU's Biomedical Sciences Institute has tested the efficiency of Bevacizumab, medicine used against cancer and in ophtalmology, to treat uveítis, thus stopping the inflammation from spreading. Diabetes is an increasing global epidemic that is expected to grow by more than 50 percent in the next two decades, leaving more than half a billion patients worldwide exposed to potentially life-altering medical complications, including pain and numbness in the feet, lost limbs, life-threatening disorders of the heart, liver and kidneys -- and even blindness. Ipsen announced today that the Committee for Medicinal Products for Human Use, the scientific committee of the European Medicines Agency, provided a positive opinion for Cabometyx (cabozantinib) as a monotherapy for the treatment of hepatocellular carcinoma in adults who have been previously treated with sorafenib. Exelixis, Inc. today announced that its partner Ipsen Biopharmaceuticals Canada Inc. received approval from Health Canada of CABOMETYX® tablets for the treatment of adults with advanced renal cell carcinoma who have received prior vascular endothelial growth factor targeted therapy. Many eye diseases, including diabetic retinopathy and macular degeneration, exhibit increased permeability of blood vessels in the macular (central) portion of the retina leading to abnormal fluid accumulation and vision loss. Exelixis, Inc. today announced that the National Comprehensive Cancer Network updated its Clinical Practice Guidelines to include new recommendations for CABOMETYX tablets. Adding another inhibitor to therapies that cut off a tumor's access to blood vessels could be the key to helping those therapies overcome resistance in glioblastoma, a deadly form of brain cancer. Two eye surgeons have written a first-of-its-kind book to save the sight of millions of patients around the world by making eye injections safe and comfortable. 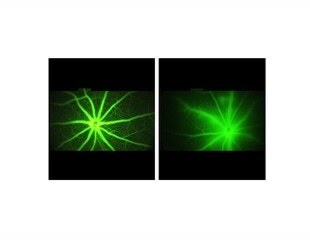 Scientists at the University of Birmingham are one step closer to developing an eye drop that could revolutionize treatment for age-related macular degeneration. Ocular Therapeutix™, Inc., a biopharmaceutical company focused on the formulation, development, and commercialization of innovative therapies for diseases and conditions of the eye, has announced the resubmission of the Company's New Drug Application to the U.S. Food and Drug Administration for its lead product candidate DEXTENZA™ 0.4mg, for the treatment of ocular pain following ophthalmic surgery.